The word itself denotes Mononoke the demon, phantom. Unlike kami, which can be the case (although they can be sources of danger), Mononoke always hostile to manpower. In ancient and medieval Japanese literature this word was used to describe an unusual and unhealthy condition, from illness to jealousy: “I was possessed by a Mononoke”. Accordingly, depending on how cartoon characters called the creatures of the forest — “kami” or “Mononoke”, — we understand how they relate to these higher powers — with respect and reverence, or with fear and disgust. One of the main such ambivalent figures in “Princess Mononoke” — the owner of the forest, an amazing creature with features of a stag and a dragon and a face that looks like a human face, each step of which grow and then die flowers and grass. At midnight the owner of the forest is transformed into a translucent giant. The basis of this image a few mythological creatures: two positive and one negative. First, it is a qilin (Chinese), or Kirin (Japanese), — a wonderful chimerical animal, symbolizing peace and prosperity. This image was born in the Chinese texts but gradually spread throughout the Far East. Second, bizza (chin. ), or hakutaku (Japanese), bull with human face and eyes on the sides, the protector of travelers. Finally, the third prototype — daidarabotchi, a creature from Japanese folklore whose main feature — a huge, more mountains, growing. Daidarabotchi with people is not considered and maybe they even eat. Although the owner of the forest some characters and negatively viewed, in General, it is rather the image of kami, the deity. Real Mononoke, definitely a negative force in this anime is creepy and weird as black worms, teeming on the bodies of those who give all-consuming rage. It seems that the cleaning space and cleaning — a fairly common motif: think of Hercules and the Augean stables or Snow white from Disney. However, Miyazaki it is much more common than anywhere else. Behind this Japanese attitude to cleanliness, which is based on Shinto, ancient partially absorbed close to shamanism customs. Central to Shinto is the purification (jap. on-harae) is both a spiritual and a bodily. Any contamination needs to be cleaned, and almost all can defile — death, birth, sin, sickness: it is no coincidence, for example, at the entrance to a Shinto Shrine should rinse your mouth and hands. Heroine almost all of Miyazaki’s films are faced with the need to cope with dirt, disorder. In “My neighbor Totoro” and “Witch’s delivery service” they just need to fix up the old house. The task in front of Chihiro from “spirited away” is much more complicated: she gets a job in the bathhouse of the spirits and must first clean the horribly dirty bathroom, and then atone for a stinking deity. Miyazaki is with great pleasure that shows the purity after the horrible dirt — and this is a sacred relation to purity, to strive for the adherents of Shinto, and which is very characteristic of contemporary Japanese society. The theme of turning into a pig first arises from Miyazaki’s “Porco Rosso”, where the protagonist, in fact, he sends a curse upon me and because of self-hatred becomes a pig. In “spirited away” in the pigs become the parents of Chihiro, the main character, once with no demand will be accepted for the food in the restaurant for spirits. This grisly scene can be explained with the help of Japanese Buddhist folklore: rebirth in the next life in the animal as a punishment for greed and appropriation of other people’s good — a common motive in Japanese legends. This punishment emphasized the power of karma and the inevitable retribution. However, pigs in medieval Japan is not diluted, so often in folklore featured bull: becoming a beast of burden, people get a chance to work their harm. In the beginning of the film, Chihiro is in a depressed mood and offended — at my parents and at myself. Gradually, she learns to be patient towards others of its strange creatures, then he forgives the parents and saves them. This motif of salvation of the parents of the child are also characteristic of the Buddhist legends: being forgiven, the parent gets a chance at rebirth. One of the main characters in “spirited away”, a young man named Haku transforms into a dragon, which pursues a flock of little paper figures. It is easy to assume that the prototype of these birds — hitogata (Japanese “doll”), small sheets of paper in the shape of human figures, used in Shinto ritual of the Great purification. The participant can buy in the sanctuary of the workpiece, to write his name on it, to blow and put in a pile of figures, other people. During the ritual, the priest will throw all of the papers hitogata in the river, and they’ll take bad luck and illness. This image of a flying paper figures Miyazaki used in his film. 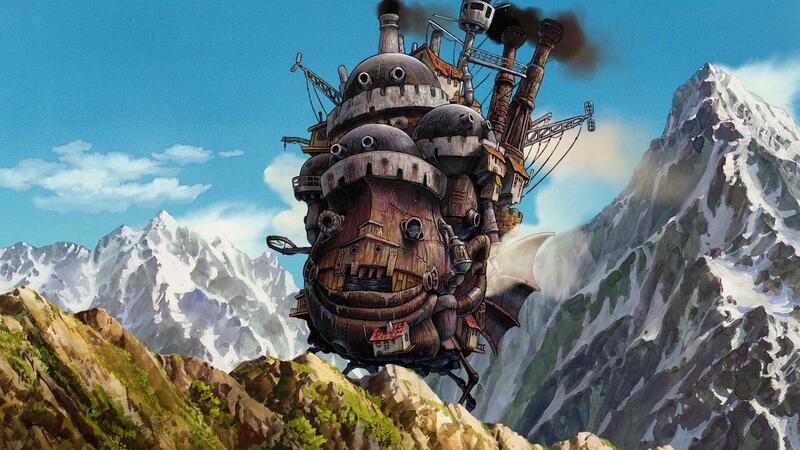 The characters of the anime “castle in the sky” trying to find a way to the lost country on a flying island Laputa. They use the girl, whose ancestors ruled over the lost civilization of Laputa and which are subject to multipurpose robots. 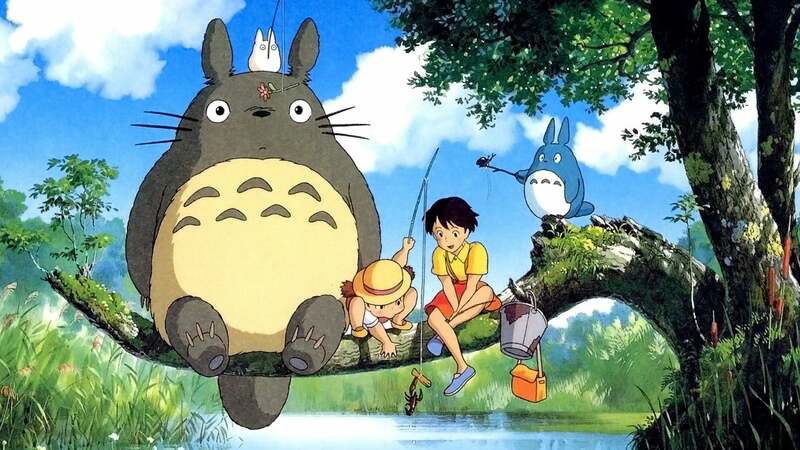 These slow-moving giants with a streamlined shape and long arms are one of the most intriguing elements of the film and work of Miyazaki as a whole. Buddhism that emerged in Japan in the first half of the VI century, plays a crucial role in the politics and culture of the country so far. Sacred center of Buddhist temple — statues of Buddha and Bodhisattvas, beings achieve enlightenment. Sometimes these figures resemble humans, sometimes their features are not similar to men: long arm, descending below the knees, short neck, webbed fingers. Creating the statue, sculptors had tried to create an image of the Great beings mentioned in various Buddhist texts. The robots of “Heavenly castle Laputa” resemble statues of Buddha and Bodhisattvas: the same simple, streamlined form, elements inserted into each other, as in the constructor, long arms below knees, a broad chest. These images are familiar to every Japanese, and probably they were for Miyazaki’s source of inspiration.